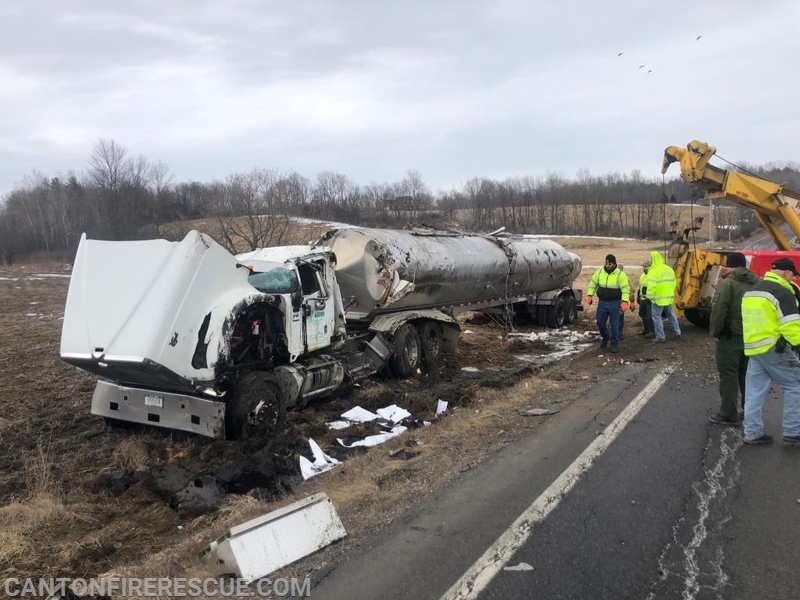 On March 28, 2019 at 1218 hours Canton Fire & Rescue was dispatched to a reported fuel truck rollover with leaking fuel on Route 68 near the Pike Road. Assistant Chief Aldous and Canton PD reported en route immediately. Canton Rescue A-131, Rescue 1, Rescue 36 and Engine 8 were en route at 1222. Once on scene it was confirmed that the tractor trailer tanker truck was hauling milk. The driver had self extricated and was located at a nearby residence. The truck had left the roadway and rolled over twice before coming to rest on the drivers side. Diesel fuel, motor oil and antifreeze were leaking from the engine compartment, milk was leaking from the tanker. 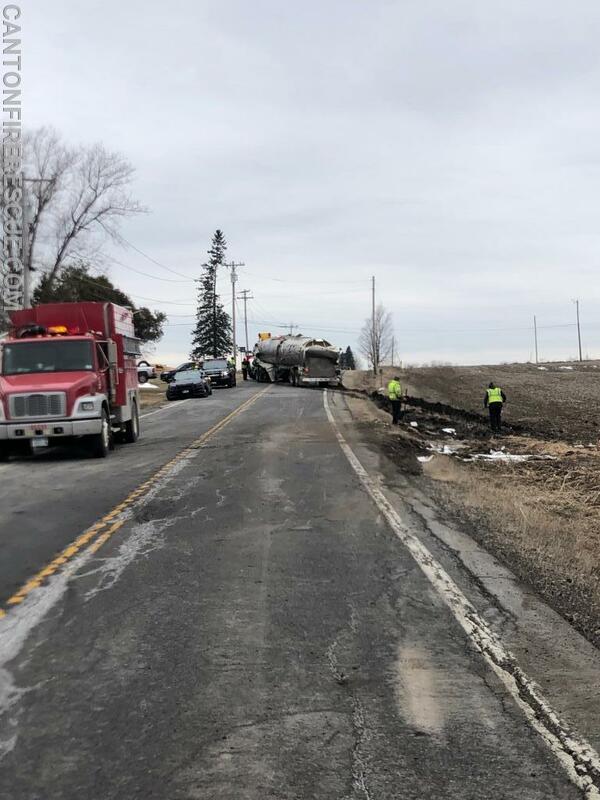 Assistant Chief Aldous requested New York Department of Environmental Conversation be notified of the spill as well as Department of Transportation due to closing the road. While EMS checked out the driver, fire crews began to contain the spilled liquids with booms, absorbent sheets and diking. The driver was transported to Canton-Potsdam Hospital for further treatment. Fire crews stayed on scene until the tractor and trailer were righted and removed. The scene was then transferred to the NYS DEC spill team and all of Canton Fire equipment was back in service at 1518 hours.